The USGA is pleased to present the official iPhone app for the 118th U.S. Open Golf Championship at Shinnecock Hills, June 11-17, 2018. Four channels of LIVE streaming coverage from the U.S. Open Championship, including featured groups and featured holes. Find players on the course, see upcoming players on any hole and display nearby amenities on-course. Live updates, news, photos and highlights from the U.S. Open. Get alerts sent to your iPhone about your favorite players. For on-site spectators, you will be able to receive notifications about exclusive events, and merchandise offers. Continued use of GPS running in the background can dramatically decrease battery life. 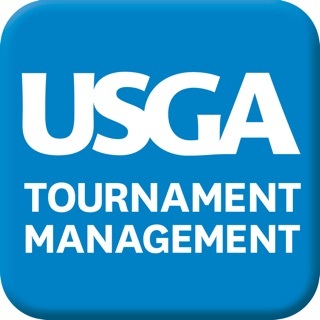 Send us your thoughts about the 2018 U.S. Open app. We welcome your feedback. It’s a great app for checking scores, especially since you can select your favorite players to show at the top, this way you don’t have to search through everyone. Can’t believe you leave the old logo up so long. Less than 60 days to Pebble Beach and still last years logo. Do you need help with Marketing? I can make some recommendations!! Not have much features, also complicated one.